The latest transport aircraft purchase by India is just a first step in a transformation of its military. It’s China that has it worried. This month, India’s Cabinet Committee on Security approved the purchase of 10 C-17 Globemaster III heavy-lift transport aircraft from the United States for use by the Indian Air Force, in a deal worth $4.1 billion. The contract, which has an offset obligation of about $1 billion, is the highest single value military contract that New Delhi has entered into with the United States, and will certainly go some way to assuaging any hurt feelings on the US side over its losing out in the race to secure a lucrative contract to supply 126 combat jets to the Indian Air Force. But the diplomatic benefits aside, the C-17 planes will significantly enhance India’s strategic lift capacity. With a payload capacity of more than 73,600 kilograms, the planes are capable of carrying 188 passengers, have reverse thrust engines for short turnaround, and are equipped with a missile warning system with flares to disengage any incoming missile attack. Until now, the Russian IL-76 ‘Gajraj’ and AN-32 has been the Indian Air Force’s mainstay for transporting men and material. Combined with the purchase of half a dozen tactical lift C-130J Super Hercules aircraft from the Lockheed Martin stable earlier this year, the Indian Air Force is now well on its way to effectively equipping itself to meet the challenges of the 21st century. The Air Force, currently the largest beneficiary of India’s rising military budget, is in the middle of shifting its focus from being a purely Pakistan-centric force, to one that will be capable of simultaneously meeting the twin threats posed by an insecure Pakistan and an increasingly belligerent China. In fiscal 2009-10 alone, for instance, the Air Force spent over $4 billion in capital acquisition, almost three times the amount spent by the Army. And over the next few years, the Air Force budget for new purchases is only likely to rise with plans to buy six new-generation tanker transports, 22 attack helicopters, 12 heavy-lift helicopters and nearly 200 basic trainer aircraft. But there has been more to the Indian build-up than just hardware acquisition as India undertakes a doctrinal shift in all three forces. The IAF, for example, is currently in the middle of tweaking its ORBAT (Order of Battle). This shift has involved reviving and expanding air bases close to the border with China border, including placing a squadron each of Sukhoi-30 MKIs—currently India’s most advanced fighter jets—at two hitherto small bases at Tezpur in north-east India and Bareilly in the north. Air Force planners say this is just the beginning. Over the next three years, India has plans to deploy at least a squadron of Sukhois at Nyoma—currently just a basic air strip—about 25 kilometres from the Chinese border in the high altitude desert of Ladakh. 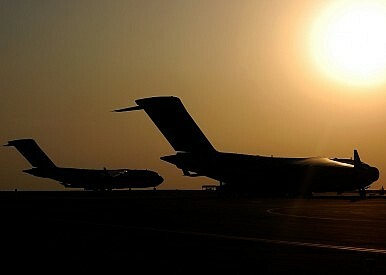 Military analysts say operationalization of the Nyoma airfield will be a major step in India beefing up its defences in the region close to a disputed boundary. Coupled with the Indian Army’s plans to raise, induct and deploy more mountain divisions along the Chinese frontier, India hopes to have a major deterrent against any Chinese aggression.